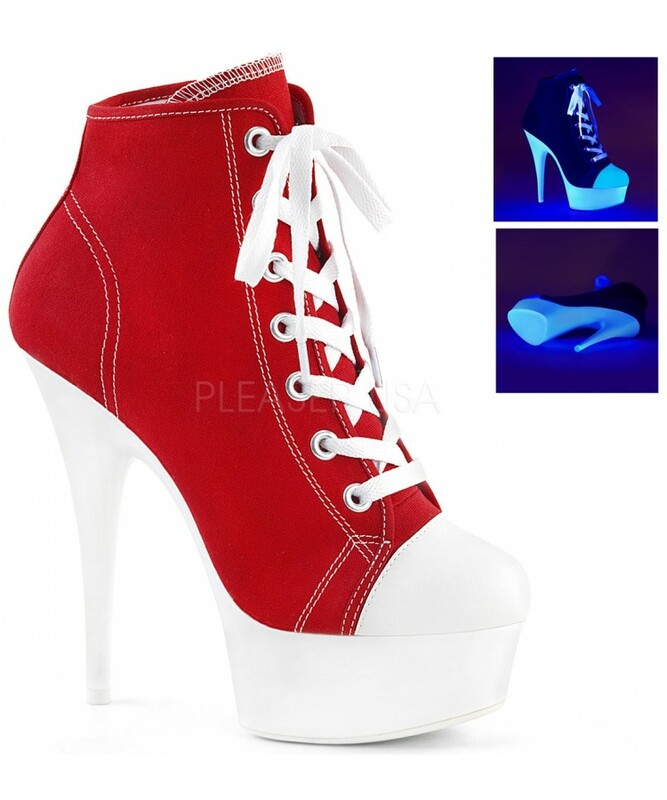 Step out in this unique platform sneaker with in red canvas with neon white platform. The Delight 600SK is a cool sneaker style shoe on a high heel platform you will love! In denim blue with white top-stitching, the sneaker is a cute shoe with lace up front and a platform heel. 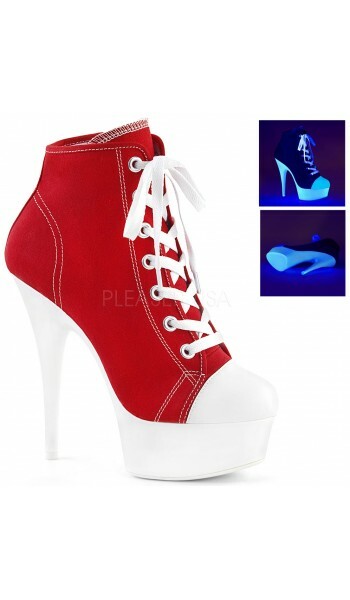 It comes on a blacklight reactive platform bottom with a 6 inch heel and 1 3/4 inch platform. Full inner zipper closure. Item Number: PL-DELIGHT-600SK-02/RCA/NW | Approximate Size (Inches): 12.00 wide x 14.00 deep x 8.00 high | Approximate Shipping Weight: 3.00 lbs.